One of the more popular DIY home security devices property owners are purchasing these days is the smart doorbell. It’s exactly what it sounds like, a security doorbell that alerts you when someone is at your door, often capable of streaming and recording video when it senses motion, at the very least giving you the ability to communicate with people on your doorstep. Like many other industries today, home security is undergoing a massive digital transformation that’s putting the power of advanced technology in the hands of consumers. Rather than signing a monitoring contract with a security provider and paying for them to install the system, DIY home security products from companies like Ring, Nest and Arlo follow subscription-based models and provide smart devices that connect to your handheld devices and are easy to install and set up on your own. If you’re just stepping into the DIY home security space, smart doorbells are a comfortable first step before deciding whether to expand your high-tech security system to include cameras, sensors, locks and other smart tech around the house. That being said, which smart doorbell should you buy? First, let’s look at what they all have in common to really differentiate between each product. 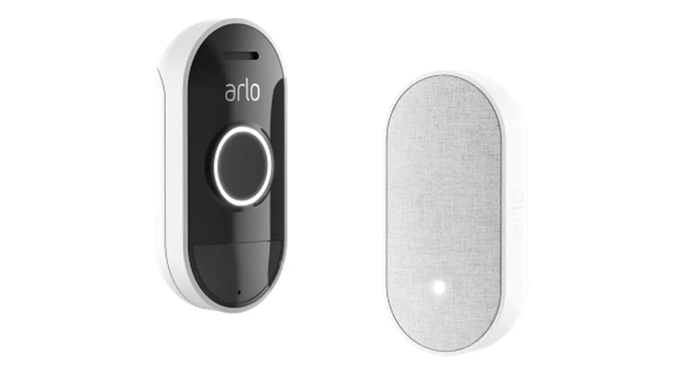 Ring, Nest and Arlo each offer their own variations of the smart doorbell, with Ring offering several doorbells that increase in price. These aren’t the only companies that offer smart doorbells, but Ring and Nest are certainly the most popular, and Arlo deserves a fair evaluation alongside them, given it’s a newer product receiving some attention and a bit different than your typical smart doorbell. That’s what makes each of these products similar. Let’s explore what makes them different so you can decide which one would work best for your home. 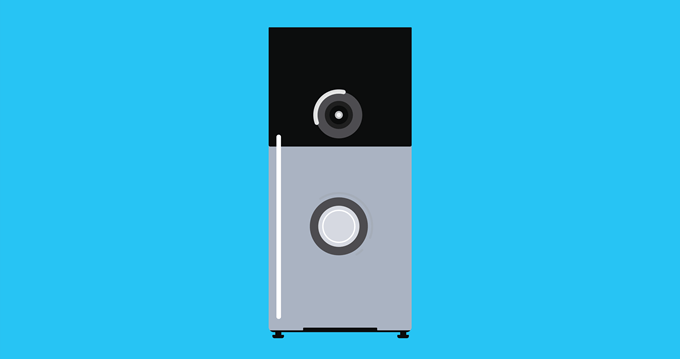 Ring Video Doorbell was the flagship product from Ring when the company launched as Doorbot in 2012. Since then, the product has come a long way, now available in several models that offer more advanced features than the base model. However, the latter is still packed with high-tech DIY home security features that keep it a contender in the smart doorbell space. The biggest benefits are that it’s incredibly simple and affordable. To start, what’s great about Ring Video Doorbell is its simple setup. It only takes a few steps to power it up and start monitoring activity outside your front door: download the app, scan the QR code, initiate the device setup, connect to wifi and use the tools included with your smart doorbell to install it. Seriously, that’s it. You can access and manage the doorbell through any of your handheld devices with the app, making it easy to control. It’s free to get live, 180-degree, 720p HD video that streams live to your handheld device when triggered by motion, and that includes night vision. If you want to archive these clips, you only pay $3/month, giving you 60 days of video storage. If you choose to connect other Ring cameras, motion detectors, sensors, locks and other devices and accessories in the future to expand your home security system, you can get archiving for all Ring doorbells and cameras for only $10/month. There’s an orange button on the back of the product that you press and release to initiate the setup. Many people complain about this not working as it’s supposed to, requiring a hard reset of the product. In some cases, the hard reset still doesn’t fix the problem. Ring Video Doorbell is pretty sensitive to your WiFi connection, and the company isn’t ashamed to admit it. If you’re having trouble connecting the smart doorbell, the company suggests moving your router closer to it. Whether the situational or aesthetic aspects of this suggested solution, it probably isn’t an ideal workaround for most people. A third issue people bring up is the battery life isn’t the best. Depending on how much activity is going on outside your home, your Ring Video Doorbell could be picking up a bunch of false alarms, meaning motion from innocuous things–cars, animals–could be triggering your smart doorbell camera, which saps the battery after a while. But these motion sensors are also adjustable, so with some tweaking you may be able to avoid or at least reduce the regularity of this problem. Nest is another young company, founded in 2010. Its flagship product was the Nest Learning Thermostat, which many people are familiar with. 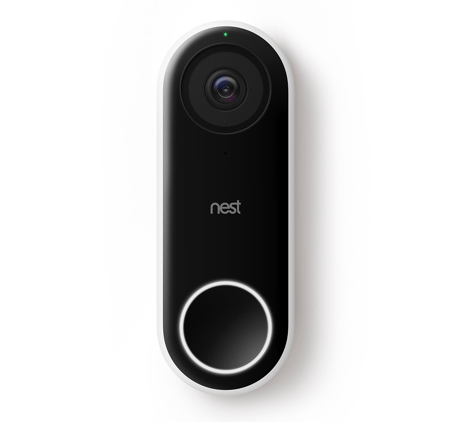 Nest launched its own smart doorbell in 2018. So far, Nest Hello is the only smart doorbell Nest offers, but like the company’s other products, it’s packed with smart features and it’s sleek. If aesthetics matter to you, Nest Hello might be the smart doorbell to consider. The biggest benefits of Nest Hello are that it provides flexibility with video streaming and high visibility. Nest Hello is always on, giving you 24/7 streaming. That means you can scan through a continuous recording, rather than just viewing clips of footage triggered by motion or sound. But that’s a lot to take in, which is why Nest Hello offers you a three-hour snapshot history. As far as archiving goes, you have three video-subscription options through Nest Aware that vary in price: five-day, 10-day and 30-day, ranging $5, $10 and $30 a month respectively. Nest Hello offers 4:3 HD video, which is supposed to allow you to see someone from head to toe. And nighttime is no problem; the smart doorbell’s HDR video provides clear details of people and objects. To that point, Nest Hello isn’t just triggered by motion and sounds, it can actually tell when a person is at your door and recognize familiar faces (with a Nest Aware subscription). And if you aren’t in the mood to or can’t respond to someone at your door, Nest Hello allows you to save pre-recorded responses you can select and play from your phone. That fact that Nest Hello offers 24/7 recording means it requires existing doorbell wiring. If, for some reason, your home has a battery-powered doorbell, Nest Hello won’t work. If you’re determined to have this particular smart doorbell, you’ll need to run new wiring (you should probably have a professional tackle this). But the biggest issue seems to be Nest Hello will sometimes or regularly delay notifications and even delay video, which means you aren’t getting alerted in real-time that someone or something is at your door. This is in one sense a nuisance, but also potentially a security risk, which contradicts the entire point of the smart doorbell. When the two most popular smart doorbell brands include video capabilities in their products, one would naturally assume any new competitor to the space would follow suit. That’s not the case with Arlo Audio Doorbell from Netgear, a company historically popular for hardware like routers but that launched the security camera brand Arlo in August 2018. Arlo Audio Doorbell is, obviously, an audio doorbell rather than a video doorbell, which makes it a bit more affordable than other smart doorbells. While it lacks video (intentionally, and we’ll get to that), it still offers some noteworthy benefits. Arlo’s smart doorbell enables mobile notifications you can answer like a call if someone is at your door. All audio is stored for free in a secure cloud on a rolling seven-day basis. If you can’t respond to someone at your door, you have the option to give instant response from a list of pre-recorded responses you select in the app on your handheld device. You can also let visitors leave messages that you can listen to later if you’re unable to answer or use quick responses at the time. Having an audio-only smart doorbell might sound rational to some–why have a video doorbell if you have cameras elsewhere that can capture footage for you. This seems to have been Arlo’s intent with the design of their doorbell. You can connect Arlo Audio Doorbell to your Arlo security cameras, and it will chime when your security cameras detect motion (if you’ve purchased Arlo Chime, pictured above). That’s why Arlo Audio Doorbell is more of an accessory you would include as part of a built out DIY home security system; however, it’s still a strong product that could be useful on its own if you’re looking for something affordable but smart. The biggest downside of Arlo Audio Doorbell for most is clear: it doesn’t include a video camera. Having to purchase Arlo security cameras separately to get one-way video hikes up the overall costs and ends up pricier than an affordable all-in-one video doorbell like Ring’s. Even so, this con is subjective. Depending on what you’re looking for, it may not matter that Arlo’s smart doorbell is audio-only. 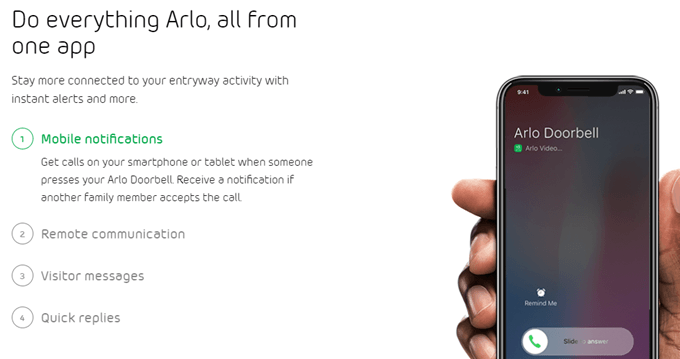 What you might also perceive as a downside is that you have to purchase Arlo Chime ($49.99) to actually hear when someone rings your Arlo Audio Doorbell, unless you’re ok with just receiving notifications via your phone. One would think, because Arlo’s smart doorbell doesn’t offer video, the company would throw these two accessories in together. Instead, you’re required to purchase them separately. When it comes to making a decision about which smart doorbell you purchase, look at the big picture. Consider what matters most to you–affordability, visibility, rationality, something else? Regardless of which doorbell you choose, you’ll end up with a DIY home security device that makes life a little safer, whether it’s the first smart security device you purchase or more of an accessory you’re deciding to add on. Enjoy!